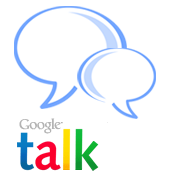 I think many of the user an visitor of my site might be knowing the google messenger which is called GTalk (Google Talk) officially released by google . it good simple and lighter it is just about 1 or 2 MB but it is great i too use it and it is too simple to use but today i will make it more simple to you to use by giving some shortcuts. Dont have GTalk Click Here to Download. CTRL + Mousewheel up/down: Change the font size in a conversation window. Bold Text : Use asterix before and after the text to make it bold. Like *hello* will make it hello. Italic Text : Use underscores before and after the text to make it italic. Like _hello_ will make it hello. Want to leave blank message : Just Press Shift + Enter together and meassage box will become big then leave shift and Just press Enter and the blank message will be received by your friend.